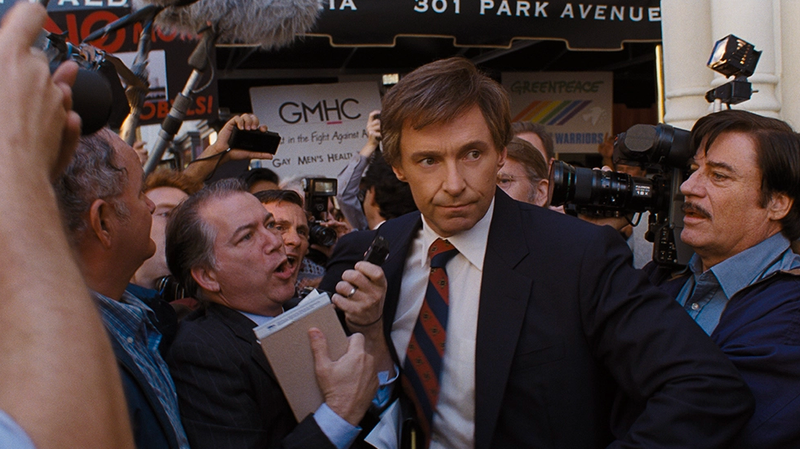 In 1988 senator Gary Hart (Hugh Jackman) was considered the strongest Democratic candidate for the Presidential race, with a high likelihood of beating his Republican rival, George H. W. Bush. So what happened? The Front Runner charts Hart’s rise to political prominence, and the scandal that would undo his bid for the highest office in the United States. Hugh Jackman is certainly one of the strongest elements here, filling the screen with a presidential presence. He projects that combination of charisma, ease, thoughtfulness, and decisiveness that voters want in a leader. Yet he is also able to explore the foibles and weaknesses of Hart, that ultimately derailed his political campaign. These are given the perfect environment to flourish in, as director Jason Reitman vividly brings the 80s to life, and plunges audiences into the political circus. We’re dragged along on the campaign trail, experiencing the highs and lows of the hustings, and the accompanying media circus. We’re also given a fine understanding of the place in history, and how media is evolving, as we see the nascent steps of the 24 hour news cycle that we are more familiar with today. Yet despite those individually strong elements, the stars never align for The Front Runner, and like the candidate himself, the film starts strong but never delivers on that promise. Perhaps it is the story itself, as the true life events rob it of any real excitement in the conclusion. Perhaps it fails to strike a balanced political commentary of the interest of the press and public in the personal lives of the candidate, rather than their policies, and that soft approach it does take neuters the film. Whatever the case, audience find themselves at best mildly impressed by the film, rather than wowed by it. All of which seems like an underutilisation of the resources brought to bear. Hence, by the final count The Front Runner is more of an also ran, rather than the clear winner. It never really brings enough to the table to distinguish itself from other political bio-pics, and so despite being competently handled, is infinitely forgettable.